A complete suite of online collaboration tools - email, docs, meetings and more! Feeling bogged down with desktop software glitches and server downtimes? With life in the Cloud and 99.9% uptime, stormy days are OVER! Stop focusing on non-core business functions like IT maintenance. Plus, increase employee productivity with in-document collaboration! Want to REALLY go mobile? Access all the awesome features of Google Apps via any mobile device from anywhere. Save money and put it back into your business! A leading research firm found Google Apps costs as little as 1/3rd the total cost of the competition. Business features: 30GB of email storage per user, interoperability with iPhones and iPads, Microsoft Outlook and more, much more. A user is defined as one personalised email address (name@yourcompany.com). Group email aliases (support@yourcompany.com) are included free and don't count as users. What’s the difference between the flexible and annual plan? Flexible Plan - You're billed monthly for each user account. You can add and remove accounts at any time and pay only for the accounts you use during that month. You can cancel service at any time without penalty. Recommended for: Small organizations with a variable size workforce. Annual Plan - You're billed monthly at a discounted rate. To earn the discount, you commit to paying a full year's subscription for your team or company. If your team grows, you can purchase more licenses and your monthly rate goes up. You can reduce licenses or monthly payments only when renewing your plan at the end of the year. If you cancel your subscription before the year is up, you still pay for the full year. Recommended for: Organizations with a constant or growing workforce. You can pay by credit card or, depending on the location of your business, you may also pay by direct debit. You can also prepay by making a manual payment to your account. The credit will be automatically debited at the start of each month instead of your primary form of payment being automatically charged. What are rates in other currencies? Which billing plan should I choose? Annual contract: With the Annual Plan, you commit to paying for one year of service, while there is no contract with a Flexible Plan. Price: With the Annual Plan, you pay less per user, per year than with the Flexible Plan. Removing users: With the Annual Plan, you commit to paying a monthly fee for a minimum number of user licenses, for a full year. You can't reduce the number of licenses (and therefore your monthly payments) until it's time to renew the contact. With the Flexible Plan, you can remove user accounts at any time and your next monthly payment will go down accordingly. The Flexible Plan might therefore be best if you have a variable workforce. For example, businesses that provide vacation services might double in size during the summer months. A Flexible Plan allows these companies to provide temporary employees with Google Apps and only pay for the service while it's used. User accounts can then be deleted when employees leave at the end of the summer. The Annual Plan might be best if you have a larger workforce and your team is generally growing in size. You pay a lower monthly rate for each user license. And you can add licenses as your workforce grows. Can I switch billing plans later? During your free trial: You can switch plans at any time. After your trial expires: You can switch from the Flexible to Annual Plan at any time. To switch from the Annual to Flexible Plan, however, you must wait until your annual contract is up for renewal. 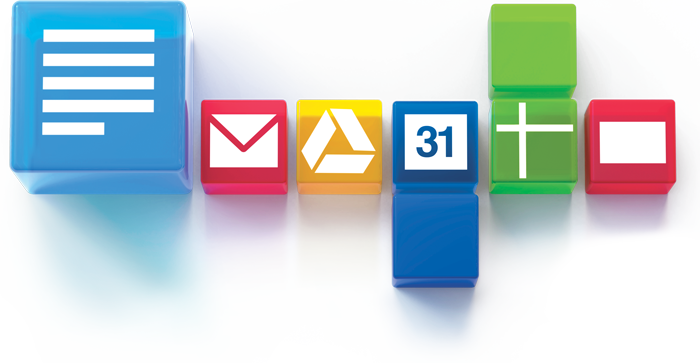 Request a FREE demo of Google Apps for Work and learn how your company can benefit from 'Going Google'.